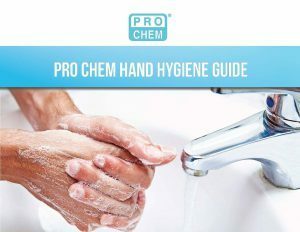 SCRUB-N-CLEAN | Pro Chem, Inc.
SCRUB-N-CLEAN is a disposable, pumice-performance waterless hand cleaner towel that effectively and quickly cleans hands of a wide variety of industrial soils and greases. These aggressive, citrus-scented towels are industrial strength but also gentle and fortified with an emollient and natural oils so they won’t crack or dry hands. 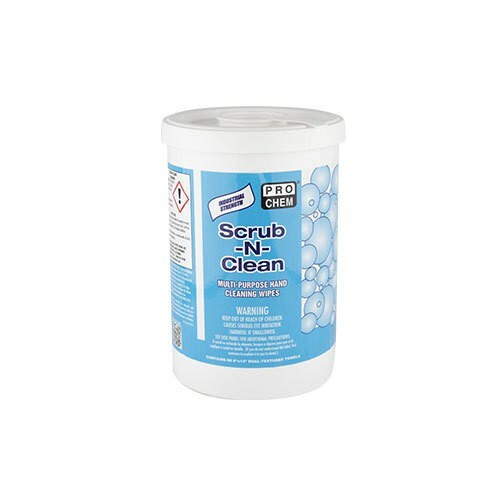 Scrub using the rough side of wipe until soil is loosened, then use the smooth side to wipe clean. Discard used wipe in trash. Do not flush.